Hall of the Mountain King: Review: Arch Enemy, "War Eternal"
Musically, not much is greatly different from what the band has done before, though there does seem to be a little more of a symphonic side to some of the songs. That shows early on the opening instrumental “Tempore Nihil Sanat (Prelude in F minor).” But the band sets out to make a quick statement immediately after that intro with “Never Forgive, Never Forget,” a blast beat-filled, full-throttle piece of Swedish melodic death metal. It allows them to establish early on that, new singer or not, they still know where they come from. That done, the title track, while still fast and heavy, lets in a little more of the thrash influence and melodic elements that make Arch Enemy more interesting to me than many of their melodeath peers. While founder and guitarist Michael Amott knows death metal (his former band was Carcass), he’s also not afraid of slowing things down or playing up a melodic hook. As the album goes on, more of that side comes through. “As the Pages Burn” has a chorus that might be about as close to an earworm as you can get in death metal. “You Will Know My Name,” a personal favorite, opens with a dark and flowing piece that has almost a Spanish feel before it blows up into a more bombastic and heavy tune. It returns to that theme throughout, though, with some keyboard/string flourishes to punctuate it. After the guitar solo, there’s also a little break that takes me back to a classic 1980s metal feel. It’s one of those songs where everything comes together. “Time is Black” has a similar setup, opening with a music box-type sound that you might expect to hear on a record by Nightwish, rather than an Arch Enemy. That feel is shattered by one of the heavier riffs on the album, though, a downtuned and angular piece. But there are, again, a few movements on this song, as we get some really tasty thrash licks between the verse vocals and big symphonics on the chorus. As on “You Will Know My Name,” the music box theme returns before the guitar solo, bringing it all back together. There’s another nice instrumental with the haunted “Graveyard of Dreams,” a dark and quiet number that finds Amott dealing in feel and atmosphere more than shred. That leads, perhaps a bit jarringly, into “Stolen Life” which opens with White-Gluz delivering her first vocals in kind of a croak that’s strange, but still manages to work, though I have to admit that it’s not one of my favorites on the record. Though it may offend some fans of Arch Enemy, I really think that some of the songs on this album are crying out for some clean vocals. I know White-Gluz has the chops from some of her former work, and I really don’t think a few clean vocals would distract from the heaviness at all. The chorus of “No More Regrets” seems to be a perfect candidate, with Amott noodling in sort of a New Wave of British Heavy Metal style. It just seems to fit. Which leads me to what has become my favorite track on the album, “Avalanche,” the only place where we do get to hear White-Gluz’s natural voice. It’s all in the backing vocals, but it works very, very well, and makes me wonder what that might lead to in the future. Aside from those clean vocals, though, “Avalanche” is just a crushing, blazing chunk of metal with some neoclassical leanings. Some editions come with a couple of covers as bonus tracks, and this is where the heavier-than-thou will really squeal. One is Judas Priest’s “Breaking the Law,” which is OK, but I think they altered that main riff a bit too much since it’s so much the centerpiece of that song. The other, the potentially contentious one, is a cover of Mike Oldfield’s “Shadow on the Wall,” with *gasp* almost no death vocals. Arch Enemy transforms the song into a fantastic metal version, and I absolutely love it. I say again, I hope it leads to us hearing just a little bit more of White-Gluz’s natural voice on future albums. 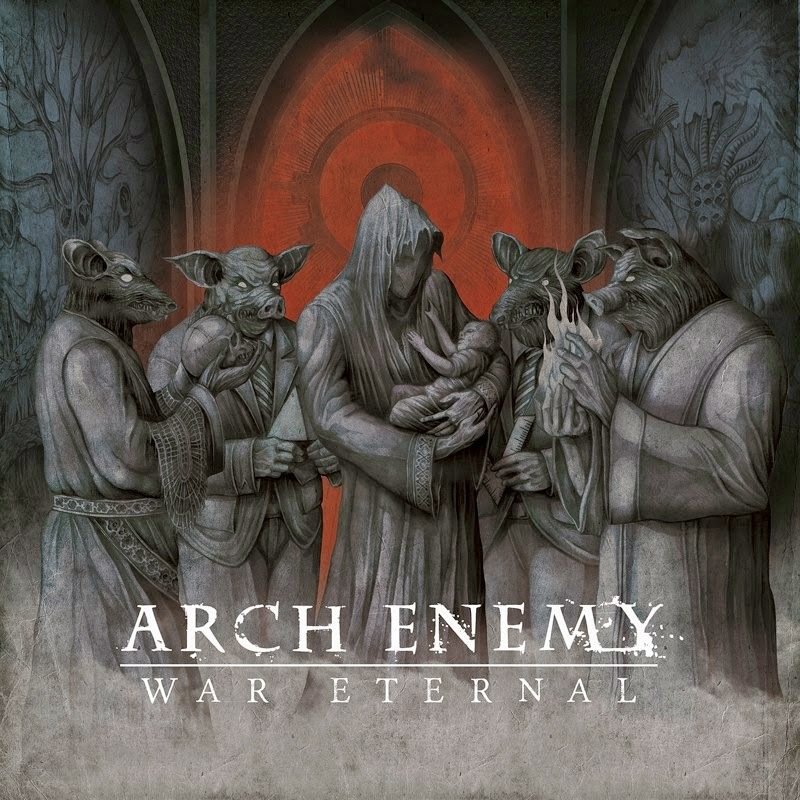 Putting aside the bonus covers — which, after all, don’t really represent what Arch Enemy is about — War Eternal shines as a perfect example of what the extreme metal genres can be when bands are not afraid of weaving in some lighter and more melodic elements. 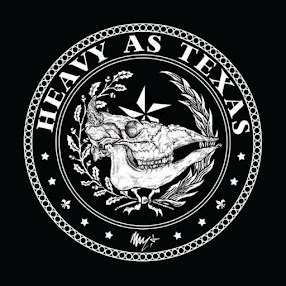 It has enough heaviness to please all but the most Neanderthal of extreme metal fans, but also offers great atmospherics and more memorable melodies than are often found in the genre. It’s pretty much exactly what I want from the band.